Electric mobility is the future of transport. 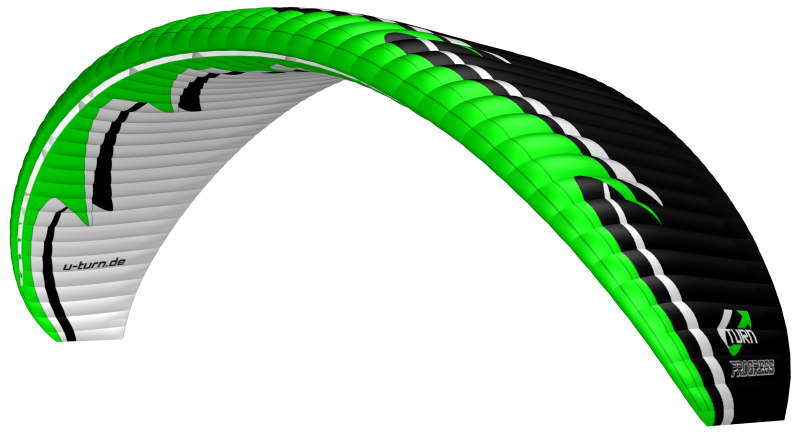 The PROGRESS is the first glider designed for electric motors too. While when flying combustion engines efficiency is secondary, it is the key factor for performance, flying electric units. The PROGRESS is a versatile cruiser to acquire skills on reflex wings. With increasing speed the reflex effect enhances by modifying the profile. This gives PG pilots the perfect entry to the reflex technology. The PROGRESS offers a huge fun factor to ambitious pilots. The easy handling of the PROGRESS shows already when inflating the wing. The wing comes up with only a little impulse, centers itself and raises above pilots head. The very good glide even on low speed makes the PROGRESS a super easy launching wing. This shortens the distance to being airborne to a minimum. To make the more gear on a PPG takeoff handle easy we worked until we had the perfect launcher. Even on nil wind and dew-wet grass the wing comes up astonishingly easy. In flight the wing has a direct and precise handling and cuts through the air as if it was on rails. The break pressure is comparably low. The PROGRESS has a Tip steering system known from competition wings to have an efficient way to change directions breaking only the wingtip. 2D steering modification kit comes with the wing. The progress is the perfect choice for pilots who want acquire skills on a safe and performing reflex wing. 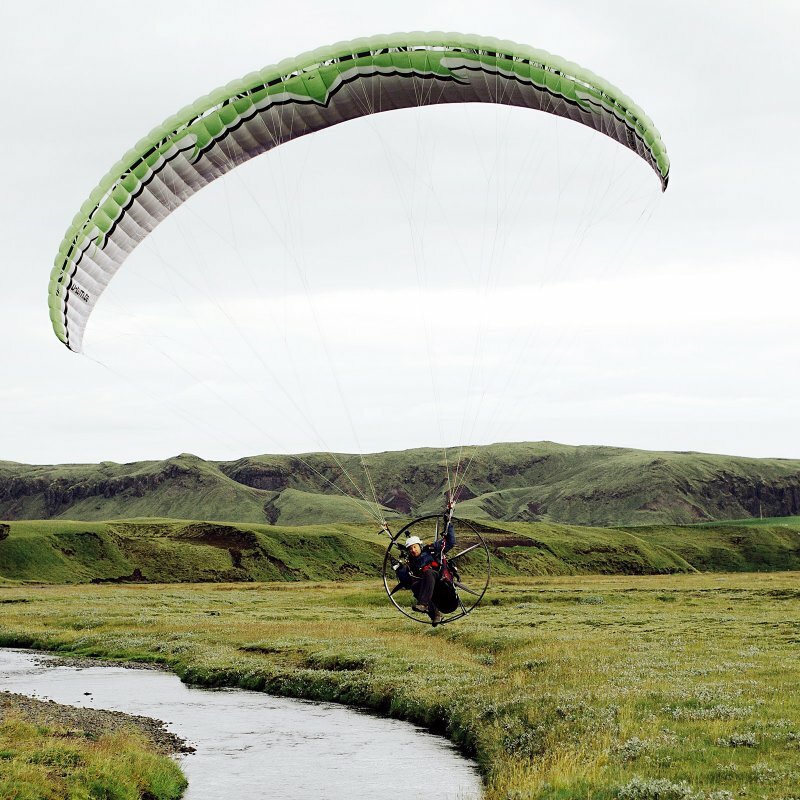 The multipurpose semi reflex wing offers PG pilots a comfortable entrance in to paramotoring. The Progress is a Cruiser which has high efficiency what shows out particularly thermalling or soring a PPG. Chief designer Ernst Strobl acceived a perfect balance between maximum performance and passive safety. Therefore he equipped the wing with the newest technological features. The only for the reflex profile of the PROGRESS calcula- ted shark nose increases the even high stability even more in turbulent air and allows flying with a wide range of angels of attack. The PPN and 3D (3DS) shaping give the wing a perfect geometrical precision of the leading edge. The High Pressure Crossport Design (HPCD) evens out internal pressure differences. Miniribs (MRB) and the break gathering system (BGS) make a nice clean trailing edge. The line geometry bases on more attachment points than average so that the load spreads out more evenly across the wing. This to reach consistent wing geometry and less line loading to reduce line diameters too. The riser has ball bearing pulleys in the speed system and has trimmers too. 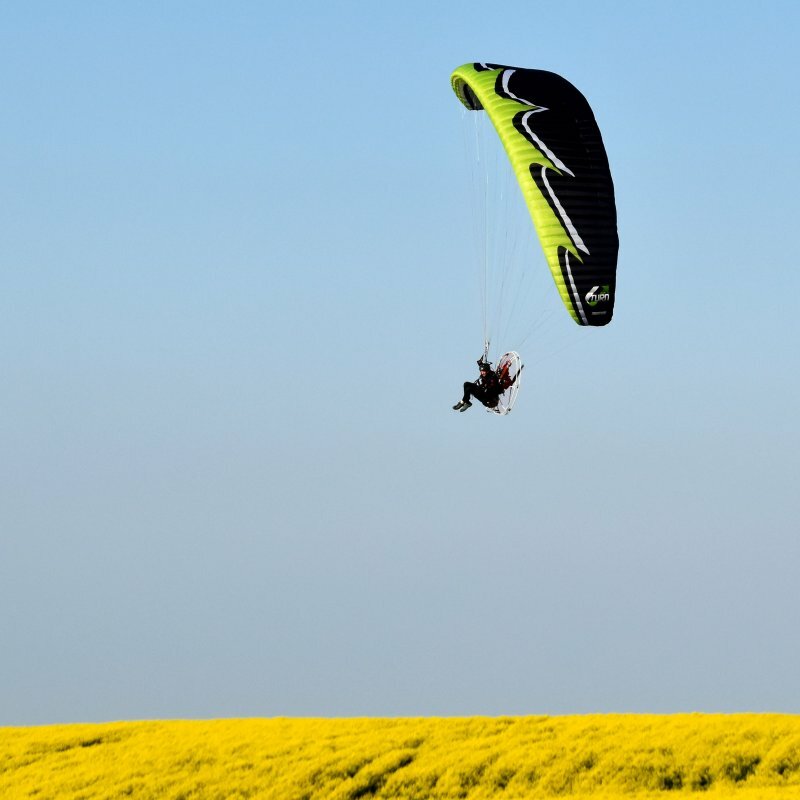 The optional tip steering toggle-stick easy stores in place on the risers with magnets.The PROGRESS has been designed in cooperation with paramotor professional Guillaume Vallance during the last 2 years. The former Paramania test pilot brought in all his experience from competition and training. The lightweight canopy made from an intelligent material mix and the perfect manufacturing finish promises a long endurance of the PROGRESS. The wing is 100% made of premium fabric Skytex. Punctual reinforcements care for long lasting geometry precision. 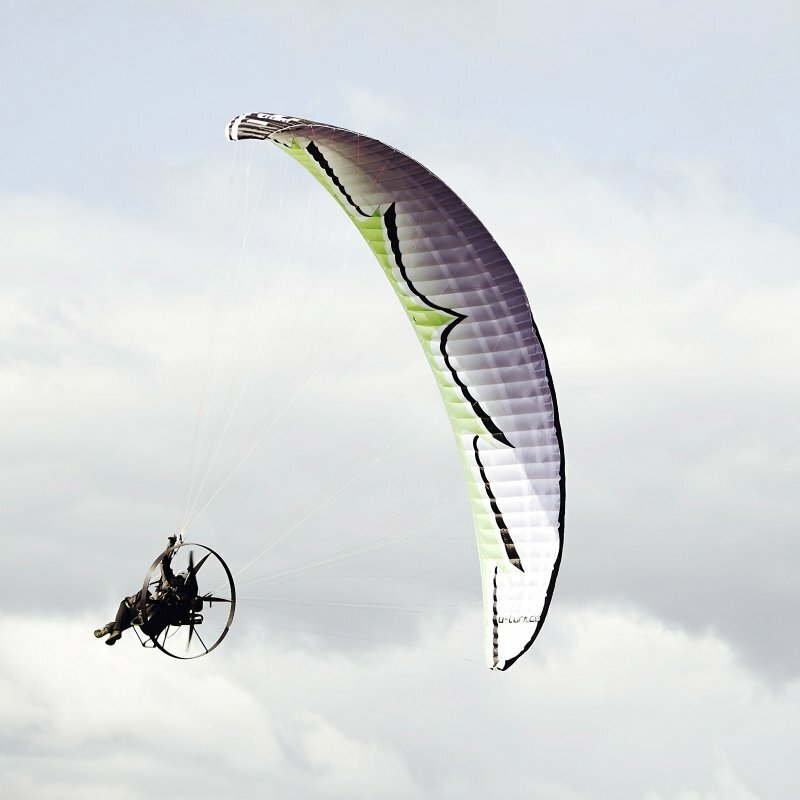 The multipurpose semi reflex wing offers PG pilots a comfortable entrance in to paramotoring. The PROGRESS is available in 4 sizes: 22, 24, 26, 28.